Dr. Chahin is Board Certified by the American Board of Surgery and the American Board of Plastic Surgery; he is an active life member of the American Society of Plastic Surgery. Dr. Chahin completed his plastic surgery residency at the Medical College of Ohio. After the conclusion of his formal residency, he pursued an advanced microvascular fellowship at UCLA, with an emphasis on breast, facial and extremity surgery. This specialized training provided him with the ultimate refinement of his skills in body contouring, facial aesthetics and breast sculpturing surgical techniques. Dr. Chahin studied the patterns of Ex-Vivo liver perfusion as his scientific post-graduate basic science research project at the nationally distinguished ECMO research laboratory of the University of Michigan, Ann Arbor. Dr. Chahin followed this research with a residency training in general surgery at North Oakland Medical Centers / Wayne State University. Dr. Chahin has authored many published articles in respected journals and textbook chapters. 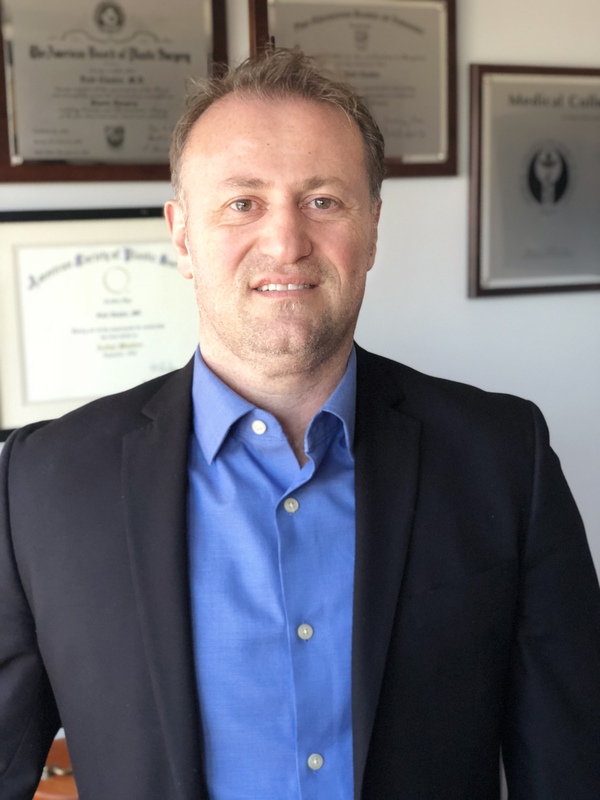 In addition, his work has been presented at local, regional and national conferences that address various aspects of both the surgical basic sciences, in particular, the topic of wound healing, and clinical surgery, such as minimally invasive surgical methods. Dr. Chahin has won multiple awards including the Glenn Sanford Excellence in Surgical Skills Award. Dr. Chahin currently maintains staff and operating room privileges at UCLA Westwood, UCLA Santa Monica, Providence Tarzana Medical Center, Northridge Hospital, Providence Holy Cross Medical Center, Henry Mayo Newhall Memorial Hospital, Antelope Valley Hospital, and Huntington Memorial Hospital.